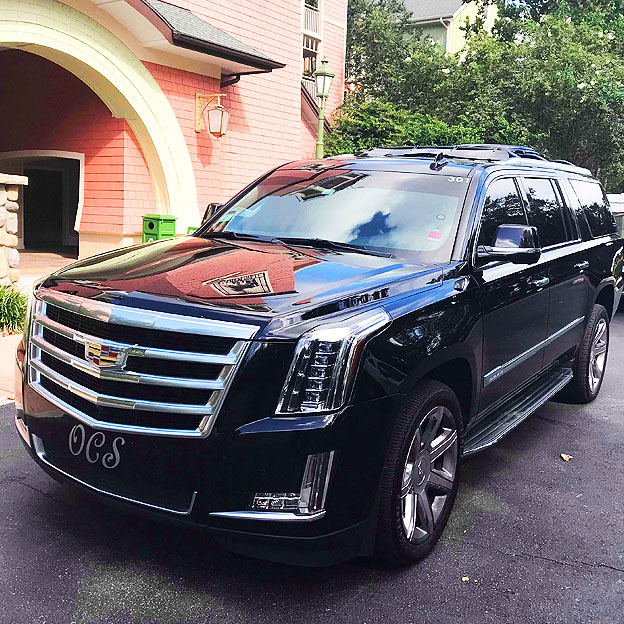 Orlando Chauffeured Services has a fleet of luxurious limousines that accommodate any number of passengers and are perfect to serve all your vacation or business needs. 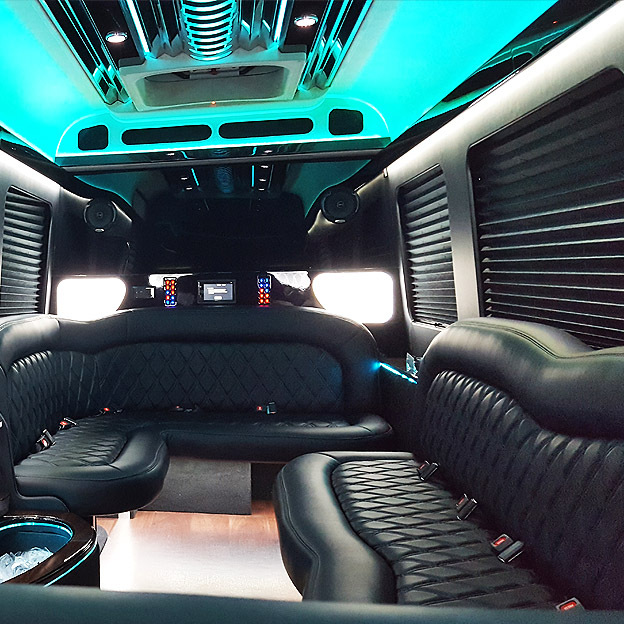 When it comes to luxury our limos are second to none and come fully equipped with DVD Players and T.V's, tinted windows and exceptionally detailed regularly to assure you a clean and comfortable ride in every limo. 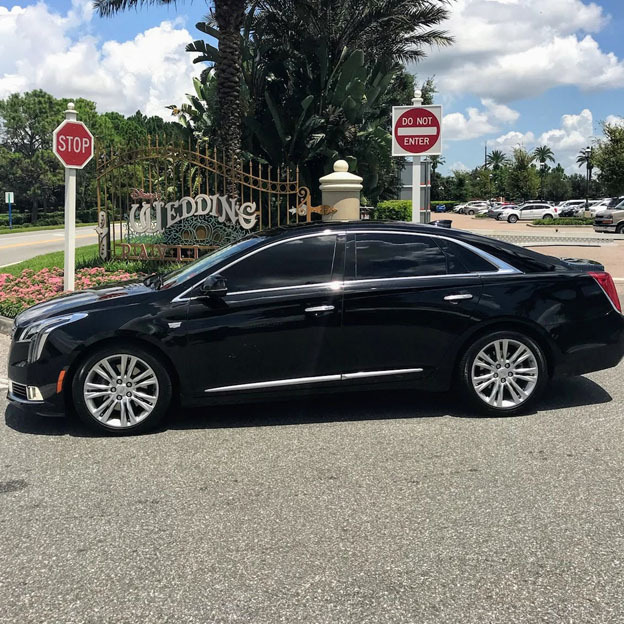 Our limousines are meticulously maintained to perform perfectly and be extremely safe for your family's journey whether you are traveling around the corner or across The Sunshine State of Florida. Choose our limousine rentals! Our beautiful limo interiors include full elegant glass bars, two ice coolers stocked with ice & water along with champagne buckets waiting your you to pop chilled bottles! With every transfer or charter groups are provided with prompt, reliable luxury vehicles from any desired origins/destinations. 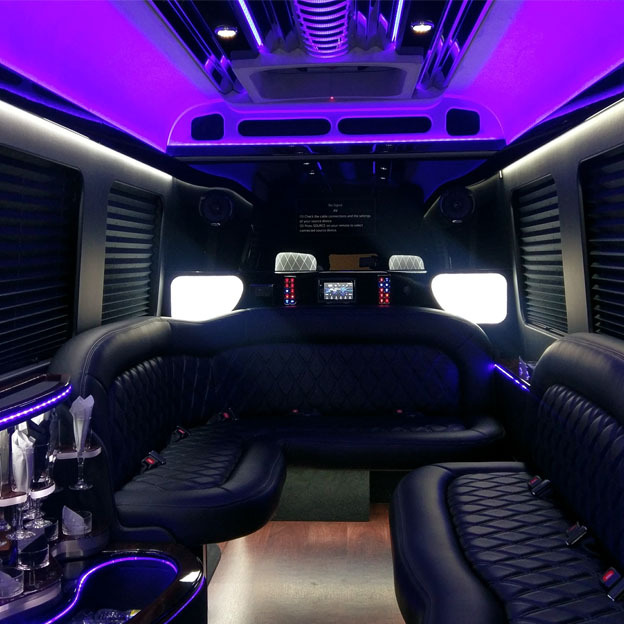 Our limousines all feature leather interiors, fiber optic lighting, a powerful stereo system ready for hookups for Android and Apple phones, mp3 players as well as two DVD monitors with a DVD player. We maintain our fleet with stringent routine inspections and qualified dealership mechanics are the only people authorized to work on our vehicles from day one. We wash and detail our limos inside and out every single day. 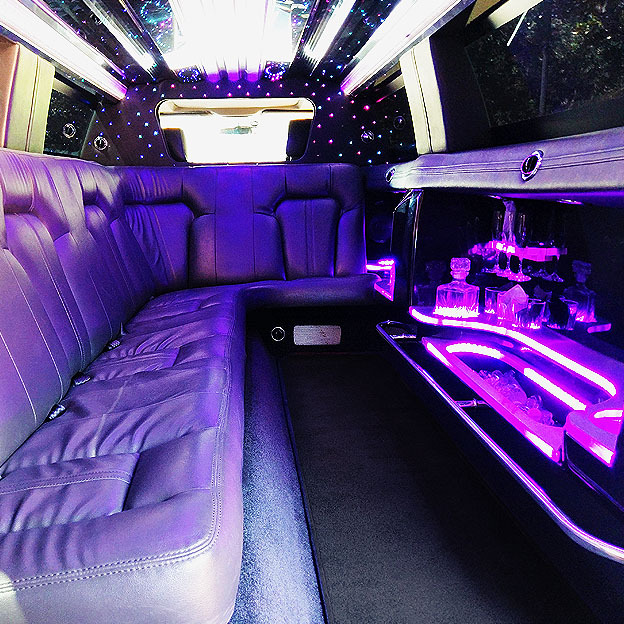 We vacuum our limos before every job to ensure cleanliness is part of everyone we cater to. We possess the ability to pay close attention to the details right around the corner in our warehouse five minutes from The Orlando International Airport! Regardless where you travel with us, you are guaranteed safety and comfortable luxury transportation that is always on time. Spotless, clean and fresh as if new vehicles & meticulously trained drivers with impeccable driving records. 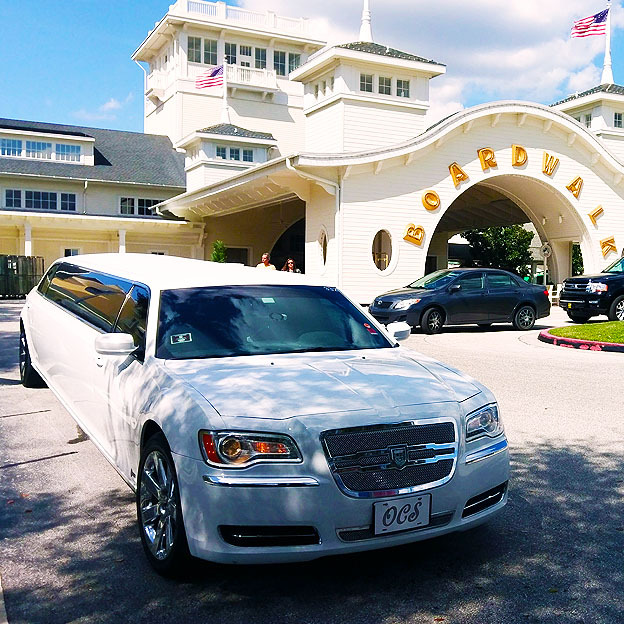 Our specialties include limo services to Orlando attractions, proms, homecoming, weddings, business travel and limos for visitors arriving at Orlando Airport. We have been providing Disney limo service and have the best Orlando limo service rates for nearly a decade! 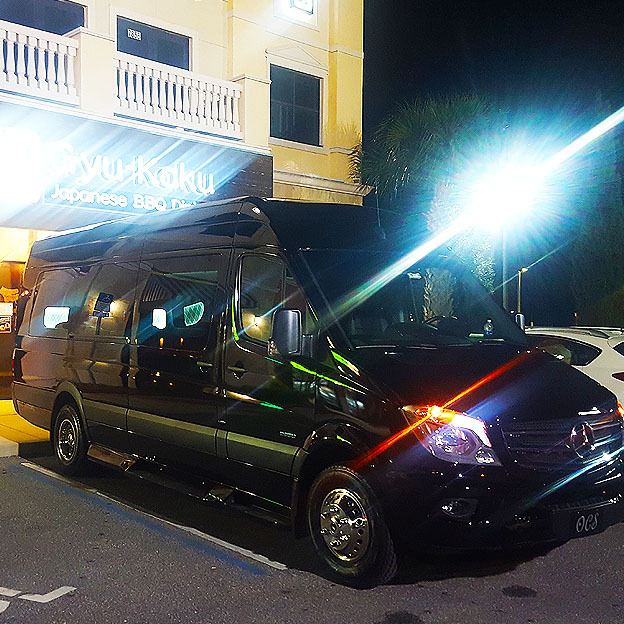 We started as mainly an Orlando car service delivering high quality Orlando transportation and as the years of prosperity and all 5 star limo service reviews has allowed us to hold the prestigious reputation of being the best MCO Airport Limo Service for over a decade! Vacationers flying into the Orlando International Airport can get transportation to Walt Disney World Resorts and back to the airport starting at $192.00 round trip! 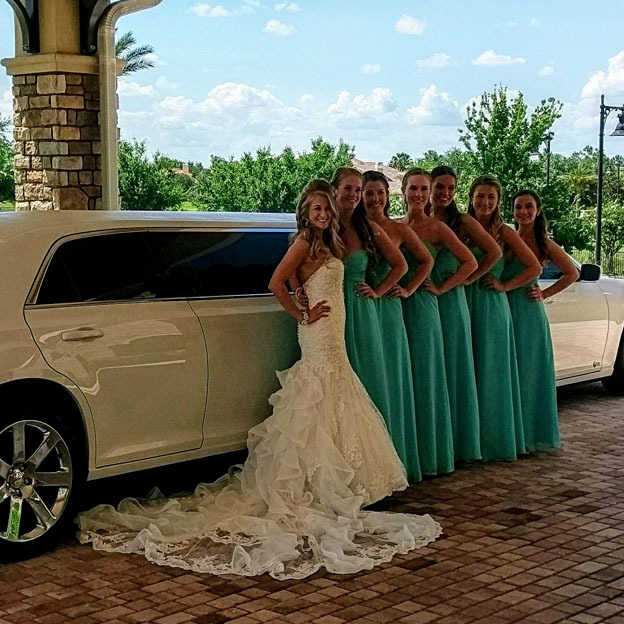 We are your Orlando - Port Canaveral limousine connection, recognized as the best "Orlando Port Canaveral Limo & Transportation Orlando Port Canaveral" by ORTA 6 years in a row! 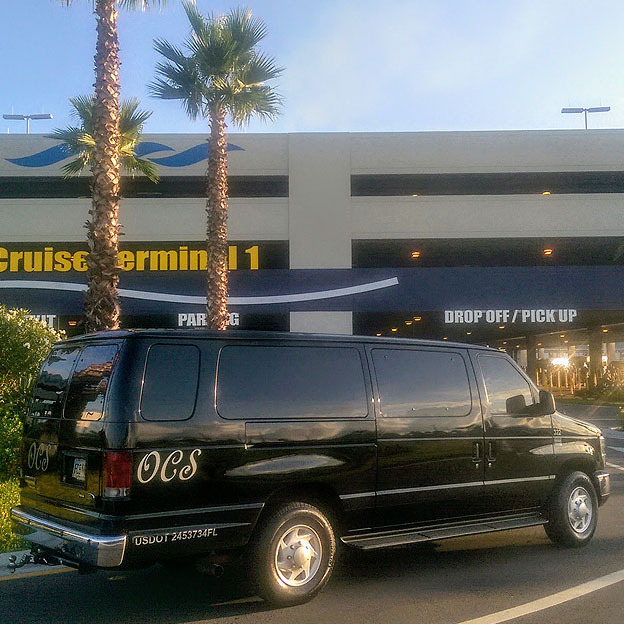 If you are in need of a Limo from Orlando to Port Canaveral - Call us now to reserve! 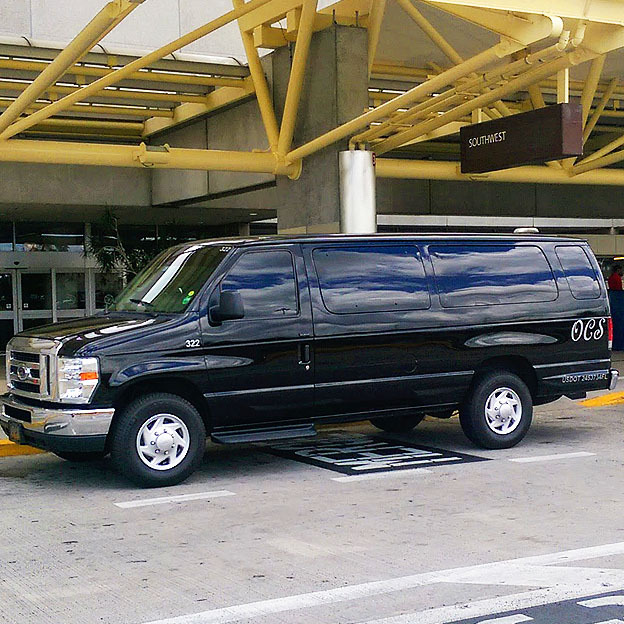 We offer a variety of Orlando limo services to the Orlando Airport. Call for your Orlando Limousine and Chauffeur Now! ☎ 407-470-6008. or - Read more about our: Orlando Limousine Service. We are proud members of The Greater Orlando Limousine Association. 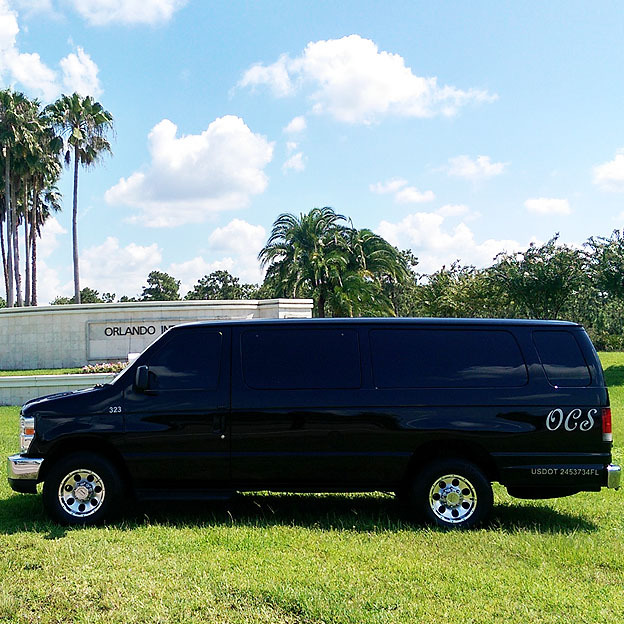 Our entire limousine fleet is meticulously maintained and equipped with GPS monitoring for guaranteed on time Orlando limo service. Many local providers are not willing to invest in their company or fleet and by not doing so the results are problems for you on your special event. At Orlando Chauffeured Services we take pride in what we do and our attention to all the small details is what sets us apart from our competitors. We have a team of professional agents available 24/7 to answer any questions you have about any Orlando Limousine service need. We will not sacrifice our reputation to save a couple of hundred of dollars. 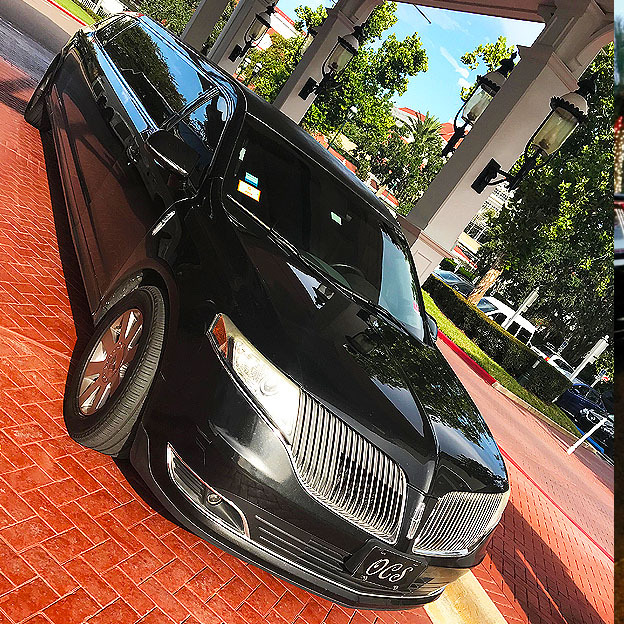 We remove our vehicles from inventory long enough time to assure you receive seamless Orlando limo service and top notch limos that will stand apart from any other Orlando Limo Company in the best way possible. We love families and want you to know that we're a family owned company that has been successfully operating a top of the line service for more than 9 years and built thousands of relationships with families that only utilize our service for all of their transportation needs. Give us a call today at (407) 470-6008 and set up your appointment to come and see us and check out the real deal in Orlando's Finest Limousine Service. Orlando Chauffeured Services® has been the leader in corporate and private luxury transportation in Orlando, Florida for over five years. 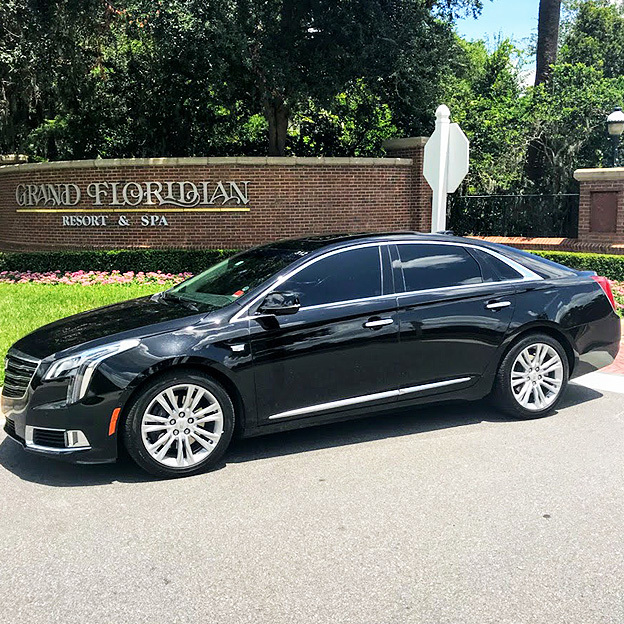 Our staff of educated consummate professional chauffeurs along with a fleet of high quality vehicles culminate to create the most reliable Orlando limousine service. To meet your needs, we offer luxury sedans, stretch limousines, SUVs, luxury passenger vans, corporate mini-buses, Limo-buses and full size coaches. Browse the site for info on current availability for each model, and make a reservation for a limo today! In Orlando there are many options for limousine services. We are one of the few reputable services available to take great care of all your limo service needs. Orlando Florida's best limousine service! #1 Orlando Airport limo and Disney limo services. Limousine, sedan, SUV, car and van services. OCS is in business to make your special occasion a success year after year and assure you that you can visit our local office and see that we are the real deal. We garage all our car's and continuously clean them so that they are the best in the whole country. We will stand second to none and assure you that we will deliver you what is promised day after day and year after year. We are experienced in raising standards and not settling to a no and always finding a way to give you exactly what you need. 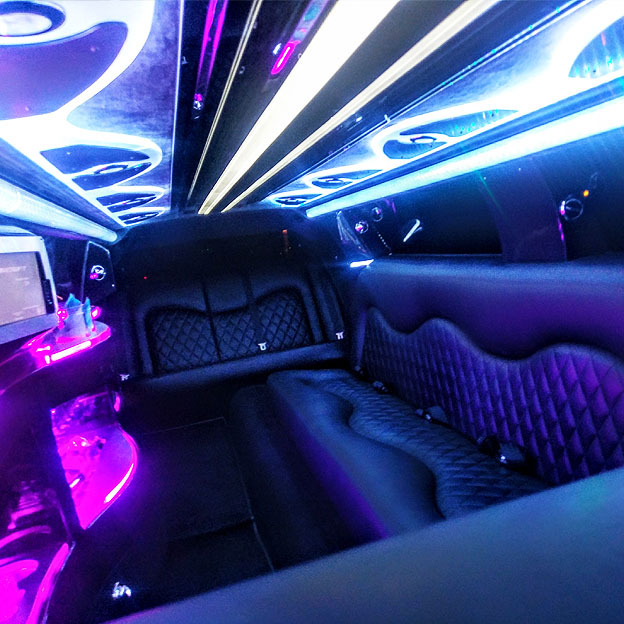 Rest assured that if you are going to a local event or game at the Amway Center we have the most effective routes and get you in and out and as close as possible in the limo so you are in front of it all! If you are planning a Prom or Homecoming the last thing you need is to be hiring the oldest most beat up limousine in town that may never show up or get you to your destination. 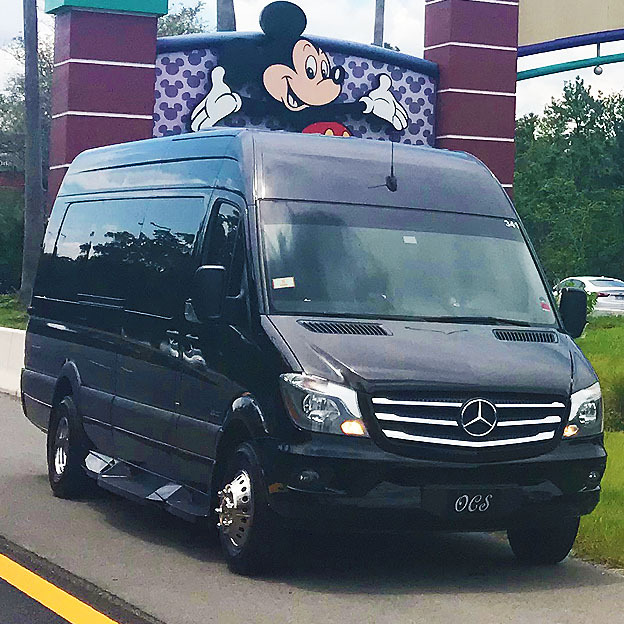 We are the definitive, superior limousine service providing royal treatment to all guests that are travelling to and from Orlando, Florida and looking for the newest, cleanest and only the best limousines that are available for rental in Disney World. 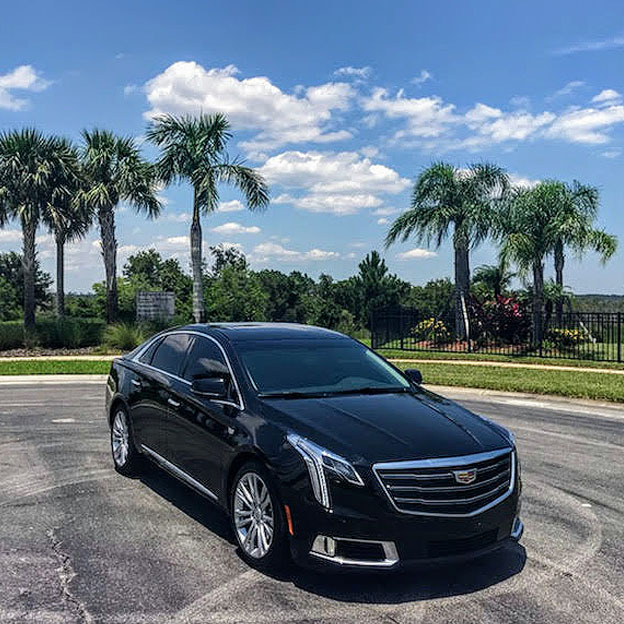 We offer the top professional chauffeurs and the best limousines at Orlando International Airport, Sanford International Airport, Orlando Executive Airport and Kissimmee Municipal Airport. 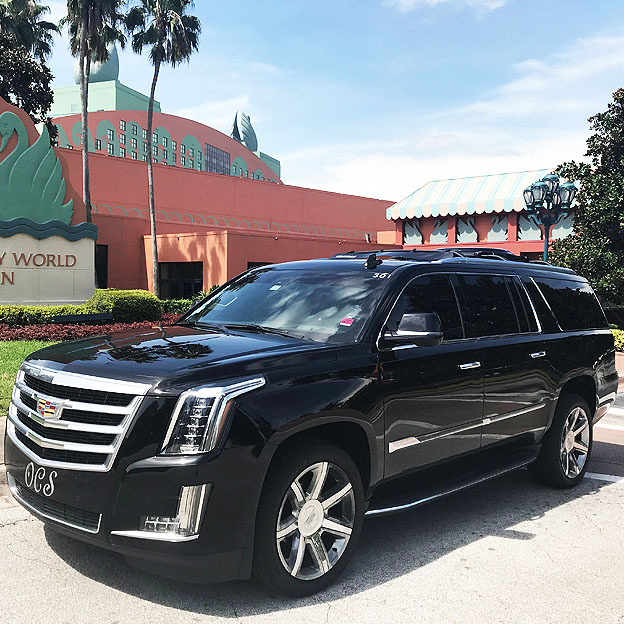 We stand alone in providing First class limousine service to all Disney World, Universal Studios, Sea World and Port Canaveral cruise terminals. There's no one that has a more prestigious fleet of high end limousines available at affordable rates. We offer exquisite the glamorous VIP that you are!. Need a less extravagant vehicle to get around Orlando, we offer luxury sedans Cadillac Escalade SUVs and Executive Mercedes Sprinters. We've been providing limousine tours to foreign travelers that are looking to learn about all local culture and want clean, comfortable chauffeured limousines. We have a live dispatcher that tracks all our fleet with a sophisticated tracking software system that is installed in our entire fleet. This assures that all vehicles arrive where they are scheduled to arrive at the time they are scheduled to arrive with no delays to our guests. Our limousine rates are the lowest available for superior limousine service. All our limousines are 2014 and newer. Come to our Orlando office located minutes from the Orlando Airport and check out our entire fleet for yourself. We don't hide behind fabricated images and have our fleet readily available for you to inspect and view in person at your discretion. 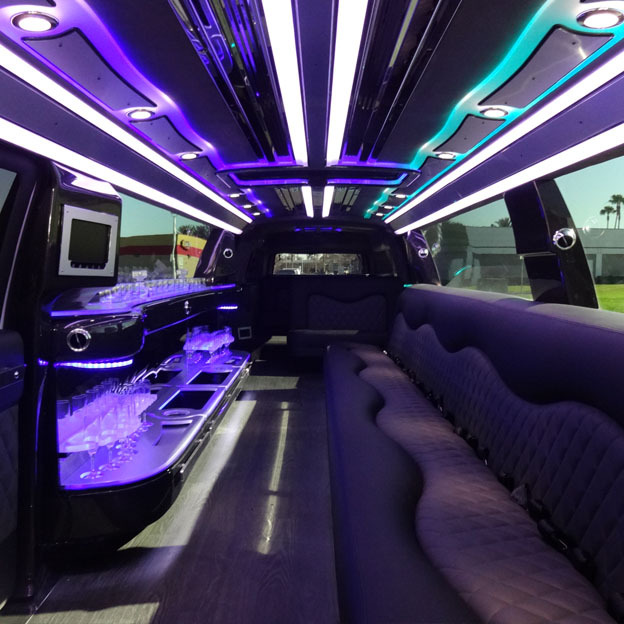 Arrange a viewing of limos simply by making an advanced request. When it comes to transparency there's no Orlando limousine provider that will be upfront, always straight to the point and professional with each and every guest. Our Orlando Limousine fleet also includes luxurious sedans which we have Mercedes S-550, Lincoln Town car L and Cadillac XTS. All our sedans are black on black and maintained and professionally detailed to assure you make the best impression where ever you are traveling to. We are rated #1 by ORTA for Orlando Limousine. Orlando is a great place for vacationing but don't let your experience fall short of exceptional by dealing with rental cars and expensive cab rides that fall short from perfection. 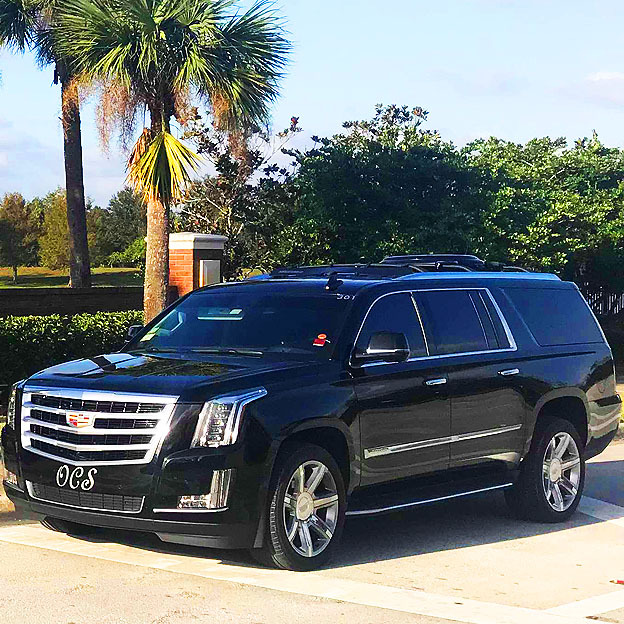 Orlando Airport Limousine service is very confusing but allow us to make it very effective and simple for you by providing you with a professional itinerary with easy to follow directions of Orlando International Airport. We provide you professional chauffeurs that strive to make your ride as perfect as our luxury sedans. Call our customer service representatives to get more details about our Orlando Limo Services. Welcome to Orlando's Best Limousine Service! We are proud members of the Greater Orlando Limousine Association. You will always travel in style with Orlando Chauffeured Services. 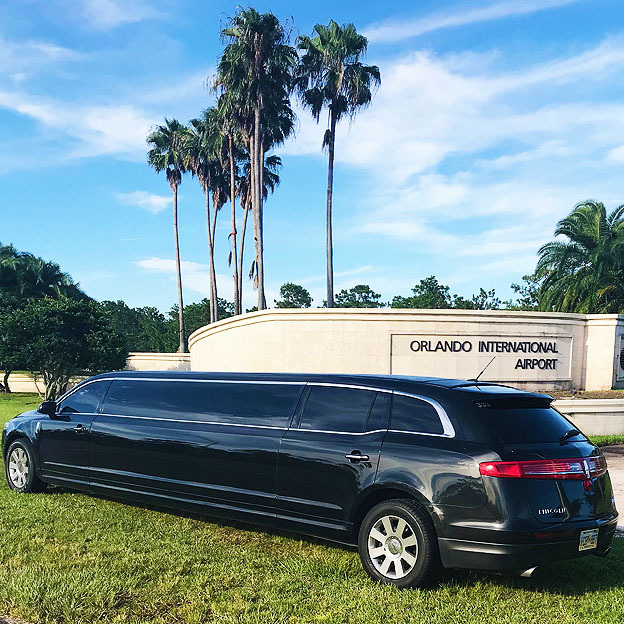 We are fully licensed by The Greater Orlando Aviation Authority and are currently serving your limo needs at Orlando International Airport (MCO), Orlando Sanford International Airport (SFB), and Orlando Executive Airport (ORL). Orlando, Florida is the "Vacation Capital of the World". It is impossible not to have a great time when you are visiting so long as your travel plans were reserved with confidence, with a company you know you can trust. We have been in business since 2009 and have yet to have a negative review regarding or referencing our services anywhere on the internet because we have done it right every time literally thousands of times. We urge you to research all Orlando limo services you are considering booking with. We didn't pay someone to write the content on our websites. We wrote this for you because we like to be upfront and straightforward. We are the best and no one can compete with the quality of our limo services. 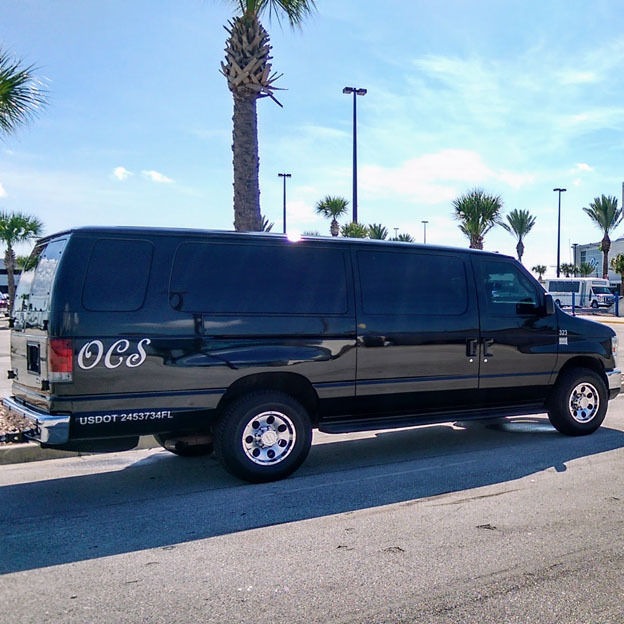 Another facet of our operations standards that sets us apart from other Orlando limos is that our 5-star limousine service will transport you to all cruise line terminals where cruises departing from Port Canaveral. You can book a limo to your next Royal Caribbean, Disney, or Carnival cruise! When your cruise returns, you can step off in style without the wait or crowds. Choose from Lincoln Town Cars, The Escalade SUV, The Stretch Lincoln Limo, Chrysler 300 Limo, Limo Party Bus, Luxury Van & Sprinter Limo, Mercedes S550 and Hummer Limos all exceptionally appointed and at prices everyone can afford! Orlando Chauffeured Services is here for all of your Orlando Airport, Disney and Port Canaveral limousine needs. If you need a limo-ride to Orlando Airport, Sanford Airport, Disney or a cruise call us and reserve in advance to guarantee availability. 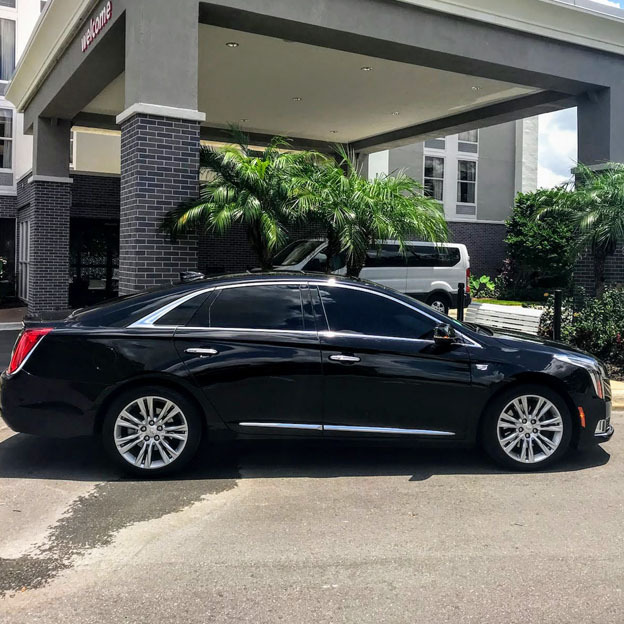 You might want to enjoy dinner, a concert or even nightlife in Downtown Orlando and we can provide you with a late model limousine along with a professional chauffeur to take you wherever you want to go! We are your best choice for Orlando Limousine service and rentals. A beautiful white stretch limousine is a wonderful experience for any event! At Orlando Limousine we are proud to offer you the best limousine service in Florida. 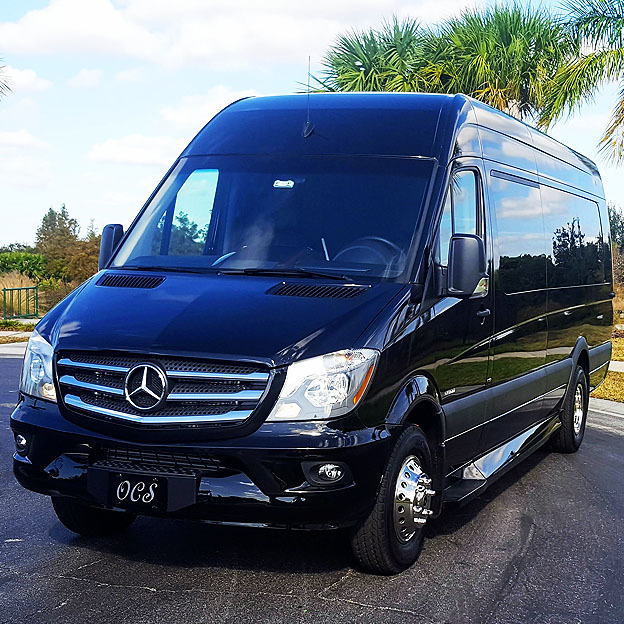 Orlando limousine rental of our 32 passenger limo bus comes fully equipped with 52" flat screen t.v, satellite reception on board and aux hook ups for any other electronic you may want to bring along. We offer you the best when it comes to Orlando Limousine Service's industry. There is a lot of companies out there that are offering cheap Orlando Limousine Rentals, but after you reserve with them your needs become forgotten and you become nothing but a reservation number. Orlando chauffeured services offer customer service representatives from beginning to end to assure you 100% satisfaction. 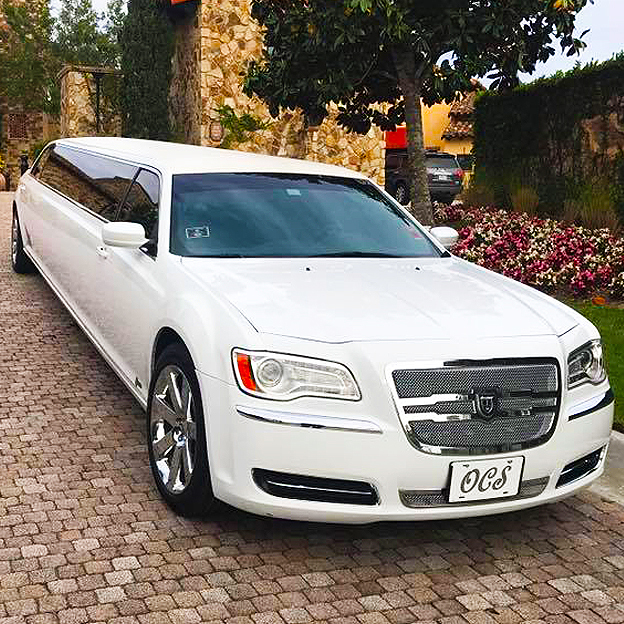 There are many types of Orlando Limousine and Transportation services in Orlando, But when you are looking for a great limo bus and top of the line limousines we are rated #1 of local critics that research feedback of all Orlando Limousine Companies. We provide stretch limousine services in Brevard, Lake, Marion, Orange, Osceola, Seminole, Sumter, and Volusia Counties. Experience luxury transport you can count on! When you are planning on making a special night out on the town, You should consider having a designated driver. Well friends don't let friends not have fun while everyone's out having a good time. That is where Orlando Chauffeured Services your "special friend" will save the night by providing you one of our clean late model limousines with a professional chauffeur to add to your never ending night of fun. We have a wide variety of the latest and greatest limos available and our rates are very competitive. All our chauffeurs are knowledgeable of all local area coolest places to be. We set standards at your special event that will be sure to make your night the most memorable one among all your peers. We love adding to your special event and tailor our services to meet all your needs and we can be as discreet as you would like so that no one has to know what is going on. We roll up at surprise parties all the time and just blow out the normal wow factor by our clean late model limousines with extraordinary chauffeur. Many of our competitors just dream about making your night special, when in reality they just care about your money and not your needs. 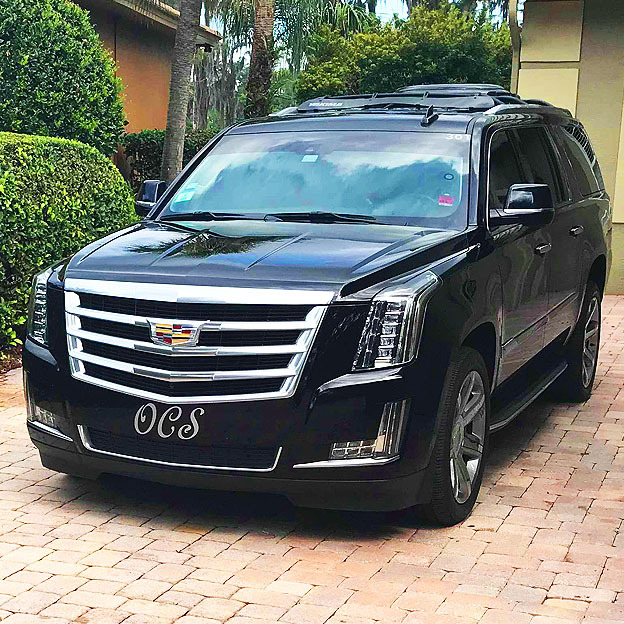 At Orlando Chauffeured Services your relationship with our company is our most important goal as we want to consider you part of our family and we are always looking at ways to out do ourselves with the WOW factor. So still not convinced that you have found the best service in the whole state of Florida. Call one of our customer service representatives and let us know how we can help you and what we can do for you. Reliable, Safe, and luxurious, we appeal to needs of every savvy traveler visiting Orlando, Florida. Travel Agents, Event Planners, Meeting Organizers and VIP /PA are welcome to call us at 407-470-6008 and register to receive group rates and volume discounts on limousine, sedan and SUV service to the Orange County Convention Center, Gaylord Palms, Marriott World Center and Rosen Shingle Creek as well as the hotels in the surrounding areas. To say that our limousines are comfortable would be understated. We have incredibly luxurious limos, luxury sedans, Cadillac Escalade SUVs, stretch limousines and beautiful black luxury vans. We have the most affordable rates for cars, vans, SUV and limos of any company in Florida! Our newer late-model limousines, sedans, vans and SUV are maintained meticulously with the highest regard for safety. We guarantee your safe timely arrival.We also maintain the cleanliness of the interior and exterior of each of our vehicles to the point where each one has an immaculate appearance inside and out! We do not merely polish the edges, we dedicate the time to clean each limo thoroughly so when it arrives on your special occasion, everything is fresh, clean and absolutely perfect! Our customers know they'll always receive 5 Star, VIP service along with the ultimate in luxury, class, style and comfort. Whatever you need limousine service for, we will make your event best it can be! Live Flight Monitoring - We monitor your flight's arrival to be certain your chauffeur is on location regardless of delays by airlines. Personalized Meet & Greet - Your chauffeur will be in the baggage claim area holding a sign bearing your name. Your chauffeur will be perceptive, well rested, alert and safety conscious. Your chauffeur has an excellent driving record and hold a current Driver's Permit with The City of Orlando. Your chauffeur will be dressed professionally, and will provide assistance with your luggage. Your chauffeur will be polite and courteous while exercising patience and operating efficiently. Your chauffeur will know exactly where you are going and will always take the most direct route. When comparing your options of limo rentals available you should know the way that the limo service industry operates. Every company has their own way of operating but there is a Industry set standard of rules. When looking for a limousine for a special occasion you should keep in mind that there is peak season and regular season. Peak season events include but are not limited to: Homecomings, Proms, Special Holidays, Special Events and New Years Limos. Day Orlando Limo Service minimum hours required is 3 hours. Night Orlando Limo Service minimum hours required is 4 hours. Night Orlando Limo Service minimum hours required is 6 hours. Night Orlando Limo Service minimum hours required is 5 hours. 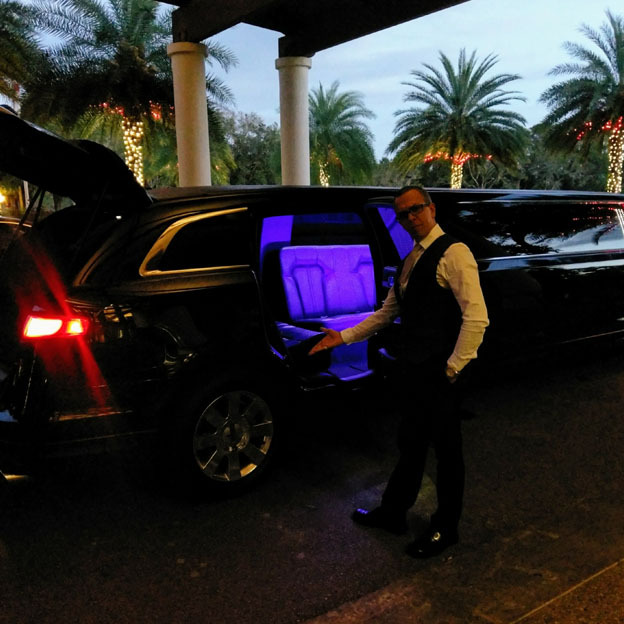 Night Orlando Limo Service minimum hours required is 7 hours. Night Orlando Limo Service minimum hours required is 8 hours. All above Orlando limo rentals are consecutive hours and chartered limos will stand by with your group. You get full use of the limousine and there are no mileage restrictions. 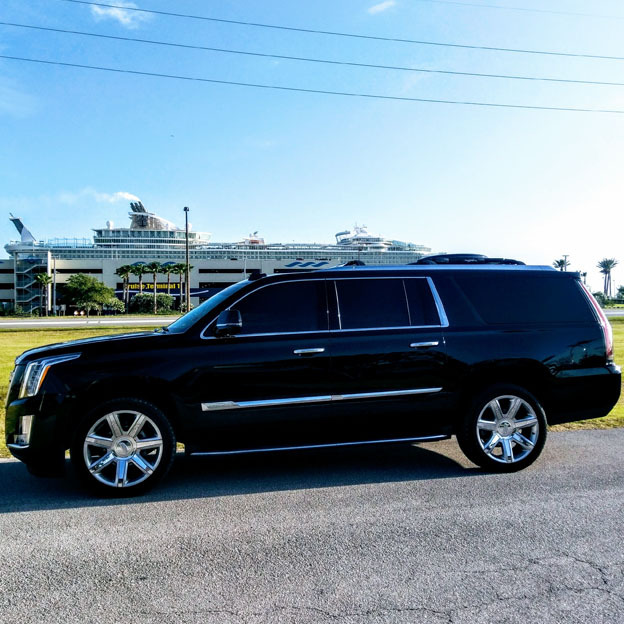 Check out Ace Luxury for Port Canaveral Transportation. "Delivering what is promised to You!" 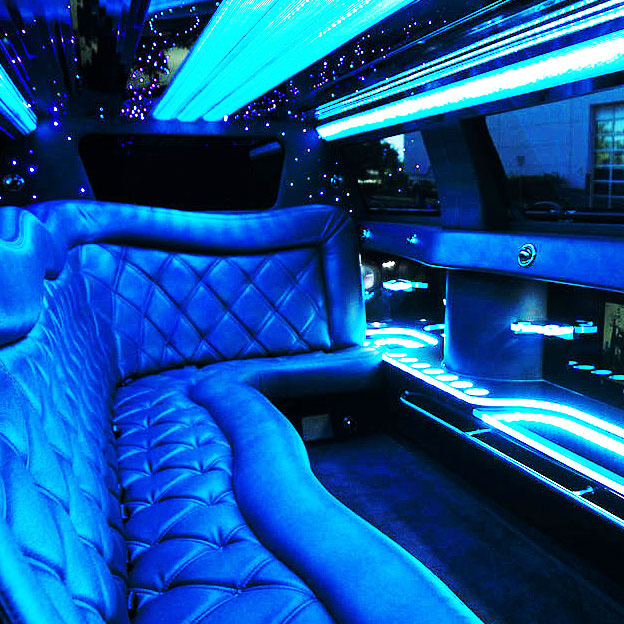 Rent The Perfect Limos Party Buses, or Charter a Stretch SUV Limousine! Find Discounts & Package Deals for large groups and Events including large programs including arrivals and departures from Conventions, Organizations and more! Compare our prices with hundreds of transportation service providers competing to earn your business. Whether you are getting married, sending your young adults to prom, or planning a night out on the town, we have the perfect limo for you!